The Hyundai Elantra is a sedan or hatchback from the South Korean automaker. Efficiency and affordability are its top priorities, although it has turned heads in the last few years with out-there style. 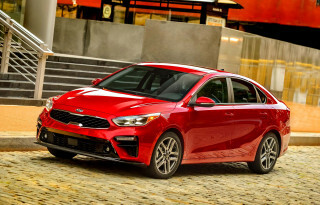 With the Elantra, Hyundai has a rival for vehicles such as the Ford Focus, Honda Civic, Toyota Corolla, and Mazda 3 as well as the Chevrolet Cruze, Nissan Sentra, and Volkswagen Golf, and the Elantra's cousin, the Kia Forte. The new Elantra that arrived for the 2017 model year was a more sedately styled sedan that improved its quietness and refinement, much as Hyundai did with the bigger Sonata that was new in 2015. The Elantra's styling bravado was pared down, and supplemented with more safety features, a more comfortable cabin, and higher fuel economy. Inside and out, the Elantra's lines were dialed down and smoothed out. The space for people and cargo was boosted, too: with about an inch more in overall length and in width, the new Elantra is firmly in the mid-size category, though Hyundai sells it as a compact car. Two new powertrains help Hyundai nudge the Elantra's efficiency to new highs. A new 2.0-liter inline-4 makes 147 horsepower in the sedan and 162 hp in the Elantra GT hatchback. A sedan-only Elantra Eco uses a turbocharged 1.4-liter 4-cylinder with 128 hp and 156 lb-ft of torque, coupled to a 7-speed, dual-clutch transmission for improved fuel efficiency. A new Hyundai Elantra Sport added a turbo-4, a new dual-clutch transmission, and stiffer suspension tuning. The powertrains deliver adequate power, but much smoother performance in Limited models. Those Limited sedans have more insulation between the engine and cabin, thicker glass, and more sound-deadening material surrounding the cockpit. With them, the Elantra is now about as quiet as the Sonata. Handling has improved with a stiffer body and a redesigned torsion-beam rear axle. Safety rating agencies are mixed with the Elantra. The IIHS calls the sedan a Top Safety Pick+, but federal testers give the car a worrying four-star overall score with a special note for intrusion. New features on the options list include forward-collision warnings with automatic braking; adaptive cruise control; and blind-spot monitors with cross-traffic alerts. Other new features will include a motion-activated trunk release; Android Auto; and a new navigation system. The new Elantra went on sale early in 2016, as a four-door sedan. While the coupe is gone, a new Elantra GT hatchback arrived for 2018. 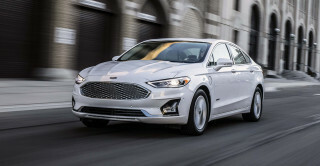 It's more closely related to the Hyundai i30, which is sold worldwide and assembled in South Korea, while the Elantra sedan is produced in North America and mostly sold there. 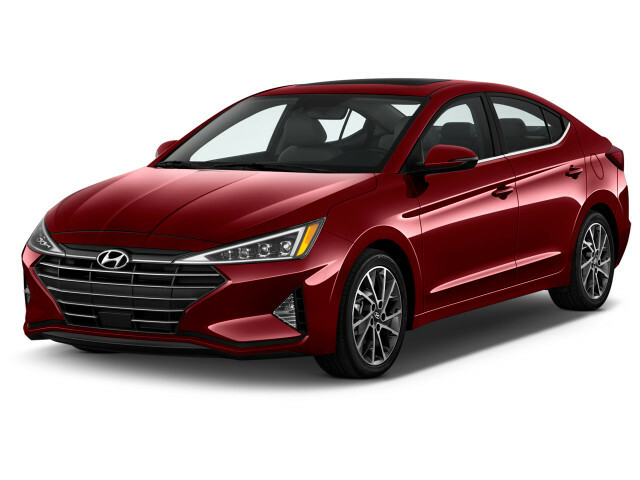 In 2019 Hyundai made active safety tech standard fare on all but the base Elantra SE trim level and updated the Elantra sedan's styling. From 1992 to 2000, the first two generations of Elantras were, like most Hyundais of the era, inexpensive economy cars. After 2000, the Elantra made great strides toward mainstream levels of equipment and quality, including standard front and side airbags, air conditioning, and power locks and windows. Redesigned again in 2007, the last-generation Elantra and the Elantra Touring wagon offered even more room, more powerful and efficient engines, and standard safety features like electronic stability control, brake assist, side-curtain airbags, active head restraints, and all-disc anti-lock brakes. The modern-day Elantra GT five-door hatchback replaced the Touring wagon in the current Elantra lineup. With that 2007-2010 model, Hyundai managed to earn a new level of respect for reliability and resale value—even against stalwarts like the Civic and Corolla. This Elantra was offered in just three trims, with the Limited model available from 2001 to 2006 cut from the lineup. The GLS and SE trims were complemented by the Blue, a special fuel-efficiency-focused version of the sedan available only with a 5-speed manual transmission. The Elantra Touring was only available in GLS and SE trims. With its 2011 redesign, the Elantra made a bold design gamble. Its radical new style was built on the automaker's "fluidic sculpture" theme seen on the larger Sonata; it featured dramatic curves and deep cutlines, and inside, an hourglass-shaped center stack. 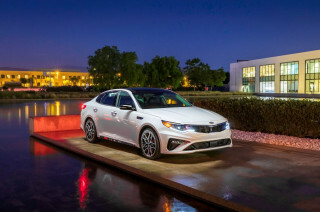 Power came from a 148-hp, 1.8-liter inline-4, and with weight reduced, the model initially had a 40-mpg highway rating across the entire lineup. While these models weren't especially enjoyable to drive, they were well-equipped small cars, with refinement a step above past efforts, including much reduced wind and road noise. This Elantra's crash-test ratings were initially a mixed bag. 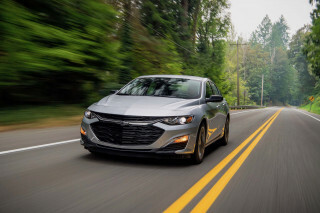 The IIHS gave it the Top Safety Pick award and eventually, the car achieved a five-star overall rating from the NHTSA after some running updates. This Elantra also offered some features that weren't necessarily commonplace in this size class, including a touchscreen navigation system with real-time weather and traffic; heated rear seats; and a rearview camera. One black mark on the 2011-2013 Elantra lineup: Hyundai was found to have overstated its fuel-economy numbers for several vehicle lines, due to what it deemed procedural errors during its testing. Hyundai initially claimed up to 40 mpg highway for some models, but after a consumer campaign alleged lower real-world economy, the EPA ran a confirmation check of the Elantra lineup and of several other Hyundai and Kia vehicles. The tests resulted in restated fuel-economy numbers for all involved model years. Owners were asked register with Hyundai to receive reimbursement for the gas consumed above and beyond expected levels. For more details, head to HyundaiMPGInfo.com. The 2013 model year marked the introduction of a new Hyundai Elantra Coupe, essentially a two-door version of the Elantra sedan, as well as a Hyundai Elantra GT hatchback. The GT had more in common with the compact Hyundai hatchbacks sold in Europe. 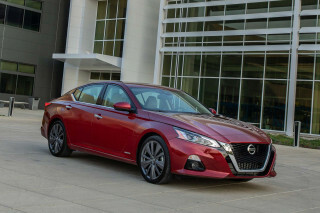 It was related more in name than in hardware to the Elantra sedan and coupe, as it had its own bodywork that's about nine inches shorter overall, with sharp fastback styling featuring some overt Mazda 3 cues. The interior was quite different, too: the dash was shallower, without the hourglass shape that defines the center stack of controls in the coupe and sedan. The GT had its own rear suspension design, and a three-mode electric steering rack that offered added heft, though feedback was still limited. The 2014 model year brought a new Elantra Sport four-door model that used a 174-hp version of Hyundai's 2.0-liter inline-4. That engine was also added to the Elantra GT range as an option. This was also the second and final year of availability for the Elantra Coupe, which did not return for 2015 due to low sales volumes. Hyundai updated the Elantra GT for 2016. Changes included a new front end with a slatted grille, a revised navigation system with Siri Eyes Free functionality, ventilated front seats, and the latest Hyundai Blue Link services, which brought remote-start and other capabilities via smartphone app. Great automobile for anyone !